Perhaps the most challenging experience anyone will ever face is dealing with the death of a loved one. No prior knowledge, no book, no other difficulty can truly prepare some one to deal with the grief that comes when a loved one dies. There are no simple ways to “get through the grief” and one will never truly “get over it.” Learning to live with your loss can be similar to someone preparing for a marathon. No matter how strong or fast the runner may be, they still need to have patience, endurance and perseverance to complete the marathon. It takes a lot of hard work to train for a marathon and one must make the commitment to prepare for the experience. Dealing with grief is a lot like training for a marathon. No matter how hard the journey is, it begins with a single step. Some days you may feel that you can handle whatever the course presents and other days it takes all you have just to get out of bed. Along the way there will be celebrations for how far you have come and there will be frustration that you are not further along than you think you should be. The course one follows on the marathon of grief isn’t level or smooth. There will be peaks and valleys, paved and unpaved paths along the way. What works for one person on the grief journey will not be helpful for someone else. It takes a lot of hard work to establish a new routine and to figure out the best way to deal with your grief. It’s important that you not compare yourself to someone else on the journey but to keep your own pace and rhythm. Anyone who has run a marathon knows the importance of encouragement and support along the way. Hearing the shouts and applause from those watching on the side lines provides a boost and many marathoners have stated that when they felt like they couldn’t complete another mile, they would come across a refreshment station or a cheering crowd and their spirits would be lifted and it helped them to keep running. It is important to know that others are supporting the you along the way. A marathoner can’t go it alone nor can the person who is grieving. What are some of the lessons that can be learned from marathoners and those who are grieving? 1)	Don’t force yourself to go too fast. If you force yourself to get through the grief experience, you may overlook or deny some of the issues related to your grief. 2)	Reflect on your experience. Take the time you need to deal with your grief. Notice the mile-markers or the accomplishments you have made in order to see how far you have come. 3)	It is important to refresh yourself along the way. Take a break from your grief. Give yourself permission to enjoy life and to find pleasure in things you use to enjoy. 4)	Allow others to help and support you. You can’t do this alone. Reach out to others and let your needs be known. 5)	At times the journey of grief can be lonely and isolating. As time passes, you might find that those who initially supported you are no longer there for you. During those times, be aware of your feelings and the challenges you are facing. Remember that the course is long but you need to keep going. Slow and steady wins the race. 6)	There will be new joys and hopes along the way. You will find new meaning in your life as you learn to live your life. Each step along the way will lead you to a new experience, if you can be open to it. It will take time and at some point you will look back and wonder how you made it through your most difficult day. Many marathon runners belong to a running group to help them train and to stay inspired. Those who are grieving also need that same type of support. What can you do to help someone who is grieving? 2)	Offer to provide food or a meal. Simple chores can be overwhelming and the thought of cooking may be too much. Ask if you can provide a meal on a certain day, find out what they would enjoy (or have had too much of lately). Use disposable containers or dishes that don’t need to be returned. 3)	Ask if you can get them anything from the store or if they would like to go with you. There may be a growing list of items that the bereaved has started but the thought of going to the store alone and facing people can be a burden. Offering to do the shopping or assist them can be a good way to support the griever. 4)	Send a “thinking of you” gift or card on the one month, 6thmonth or year anniversary of death. As the days turn into weeks and the weeks into months, the griever may feel that others have forgotten them or have moved on. Remembering important days such as birthdays and anniversaries will let the bereaved know that they are not forgotten. A simple jester but something that will mean a lot to a person who feels alone. 5)	Extend an invitation to brunch or lunch. It might be too difficult to be in a crowded restaurant or be around “happy” people. Arrange an outing when the restaurant is less crowded or on an off-night. It takes time to be comfortable in social settings when you are grieving. Easing into gatherings will help the bereaved become more confident. 6)	Share your time and talents. What roles did the person who died perform? Offering to help fill those roles or to teach the survivor how to do certain tasks will be greatly appreciated. Grass will need to be mowed, leaves raked, snow swept, cloths washed, etc. 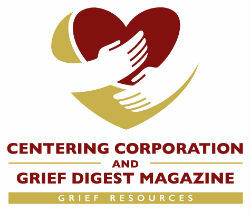 Offering to help, or better, just doing it will provide a great service for the person grieving. 7)	Listen to their stories. Be willing to sit with the silence or to hear the story repeated several times. Don’t make your visit about you but keep the focus on them. Don’t push them to talk and don’t appear to be searching for information. Let them know that if they want to talk, you are there. And if they don’t, that is fine too. 8)	Don’t be afraid of the grief. Your presence and your concern are the greatest gifts you can give. You can’t make the grief go away nor can you take their pain away. Your willingness to stay connected during the hard days and difficult times will mean the most to the person who is grieving. There is nothing magical about the process. Being present and concerned are the greatest gifts you can give some who is grieving the death of a loved one. And remember, grief is a marathon, not a sprint. Your support will be needed over time. The griever will need support throughout their journey, not just the beginning. In the end, there won’t be a medal for completing the journey of grief but the reward will be learning to live your life and to find meaning after the death of your loved one. You might be surprised when you look back to see that in your weakest moment you found your greatest strength.